"An online project management app that helps its users plan their work and keep track of progress." 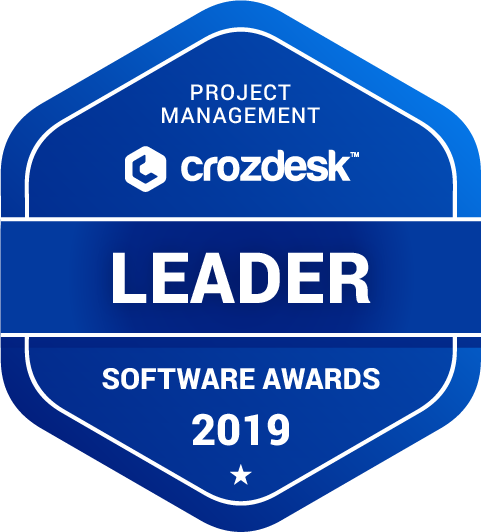 Zoho Projects scored 88/100 in the Project Management category. This is based on user satisfaction (84/100), press buzz (65/100), recent user trends (rising), and other relevant information on Zoho Projects gathered from around the web. Does Zoho Projects integrate with any other apps? Does Zoho Projects offer multi-user capability (e.g. teams)? Does Zoho Projects offer guides, tutorials and or customer support? Who are the main user groups of Zoho Projects? What is Zoho Projects generally used for? What platforms does Zoho Projects support? What are some applications Zoho Projects is commonly used in tandem with? Does Zoho Projects offer an API? 4.18/5 based on 20 user ratings. What do you like about Zoho Projects? Helps you manage and track the project implementation status and also to manage tasks and schedules involved in the project. Its accessible even from both mobile and desktop devices. What do you dislike about Zoho Projects? What have you been using it for and what problems did Zoho Projects solve? A clear interface very well developed to organize the ideas and stages of the project, the list of tasks is very efficient and useful and you can add the members of each project without much effort and the chat works correctly to be able to communicate quickly with a colleague. Some tools are excessively elaborated, which often causes the project to establish its stages and each task can do something complicated, more than necessary, some elements such as invoice and expenses, timesheet and forum can improve their performance. In the department we always need to work collectively on the projects and establish lists of tasks and times to reduce production times, this tool is useful to organize and measure the development of the project, that way we can analyze how long it takes us to execute the projects. ZohoCRM helps to keep in touch with your customers in a convenient way, through phone calls, live chat or emails. From the very beginning, the interface was convenient, but after a lot of updates, when developers added many functions, it became incomprehensible and confusing. It would be nice to have examples or tutorials on how to use it. Not very clear interface, it took me several days to understand the functionality of this program. Like many CRMs, ZohoCRM solves a lot of problems and helps you to increase your work. I often use a mobile client, which by the way is very good, to control work. Zoho Project lets you to easily plan your work, manage your team's employees, to always be better than your competitors. Time tracking and Gantt chart as well as the ability of having different view of the tasks. A convenient system that allows the team to work together in real time. Easy integration with other Zoho services. The interface works fast, and it's pretty handy. Personally, I have crashes in the mobile application, they certainly are not significant, but still exist. My colleagues did not find such a problem. Our team could not even say that our work will be easier and faster with the help of the Zoho Project. We often use Gantt charts for project management. We also use time tracking for complex tasks, this allows us to be more organized and productive. We have a lot of employees and it is important that each of them can easily find the document they need in the Zoho Project. There is a function to quickly find a file according to the title or content.